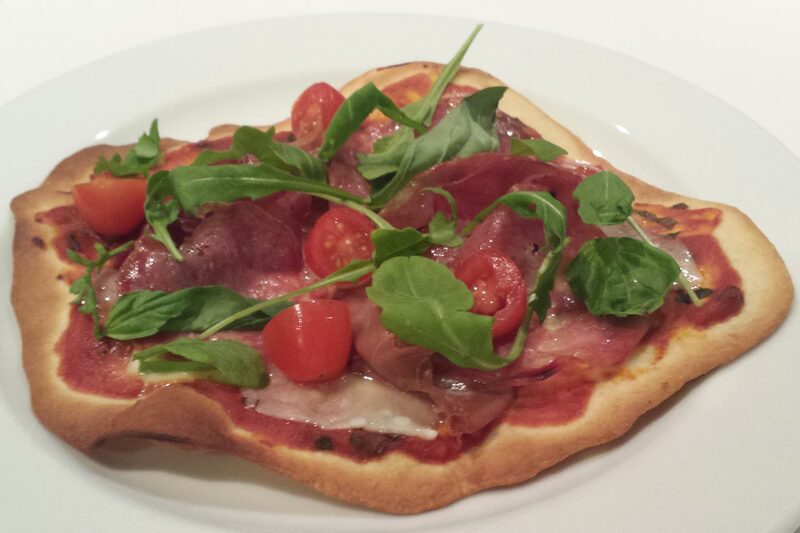 A thin and crispy base provides the platform for a selection of delicious Italian meats in this classic pizza. Place the pizza onto the hot baking tray, return to the oven and bake for 6 minutes at 240 degrees Celcius. Remove the base from the oven and add your toppings. Sprinkle the mozzarella, meats and cherry tomatoes onto the pizza and top with a generous splash of Pomora chilli flavoured oil. Return to the oven for a further 3 minutes at 240 degrees Celcius. Remove from the oven, add a few extra basil leaves, the rocket leaves and a splash more Pomora chilli flavoured oil and serve immediately. Loaded with meat, this pizza is sure to satisfy!